This is a very fast easy to cook meal, light and yummy. You can make it quickly in the morning before going to work, or the night before, then put in the fridge and then warm up the next morning. One medium yellow plantain contains 250 calories. Note that this may vary as my idea of medium might be different from yours. However, the medium i am talking about weighs about 174grams. 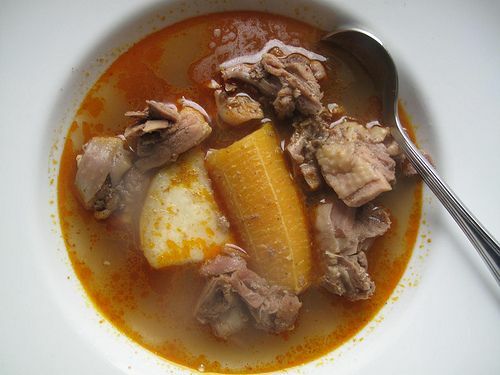 For the stew, try to make it without oil, i know this doesnt sound practical, but you dont have to always fry your stew. If you absolutely cannot do without doing that, or rather, if you are buying from outside where of course, you cannot control how much oil the woman puts in her stew, try telling her to drain the oil before putting the stew for you. I would make a recipe for oiless stew soon with pictures for you guys. So for the plantains, very easy, wash the plantains with the skin on them, then cut them into three or four chunks. The smaller they are, the easier it is to get boiled. Make sure you wash the back of the plantains very very well. Put in a pot and bring to boil for 25 minutes. Ensure you have added salt to taste. Voila, your plantains are ready to eat. Remember that you need to be very careful with your portions. Do not cook more than you plan to eat. Trust me, if you boil more than one plantain, you would eat it, because it is very yummy.